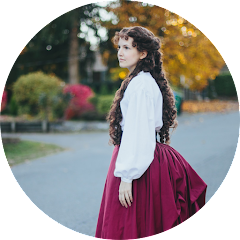 Today I'm sharing the process of making the bodice of my 1841 Marie-Louise gown. 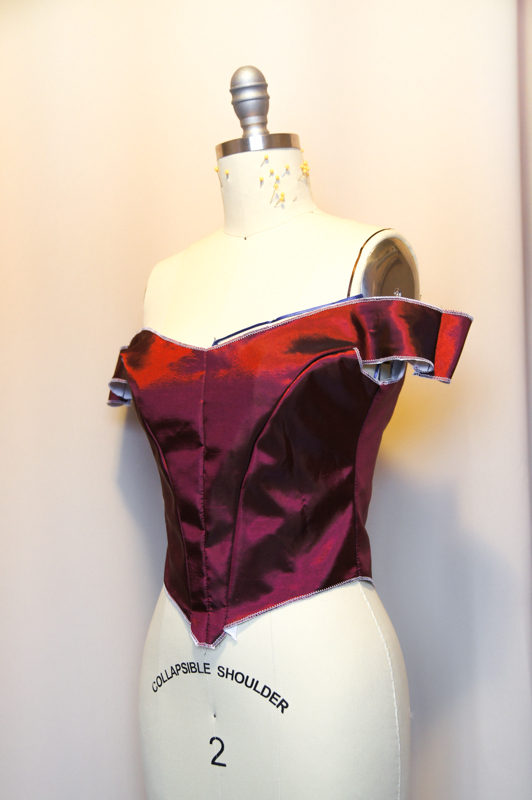 I'm still in the process of making it, but I wanted to share what I have done thus far, mainly the bodice. The pattern is self drafted, based off of a pattern from Patterns for Stage and Screen by Jean Hunnisett. To draft the pattern, I draped it on my dress form, patterned that, made a few adjustments and then went on to make one final mock-up before cutting into the actual fabric. Speaking of fabric, the fabric I'm using is a faux silk taffeta from Bangkok Thai Silk. It looks more purple in the pictures, but it's a black-shot-red color. I cut my pattern pieces out of both my fashion fabric and muslin and flat lined them by surging them together. Once that was done I stitched all the pieces together with a 1/2 inch seam allowance, leaving the back open. 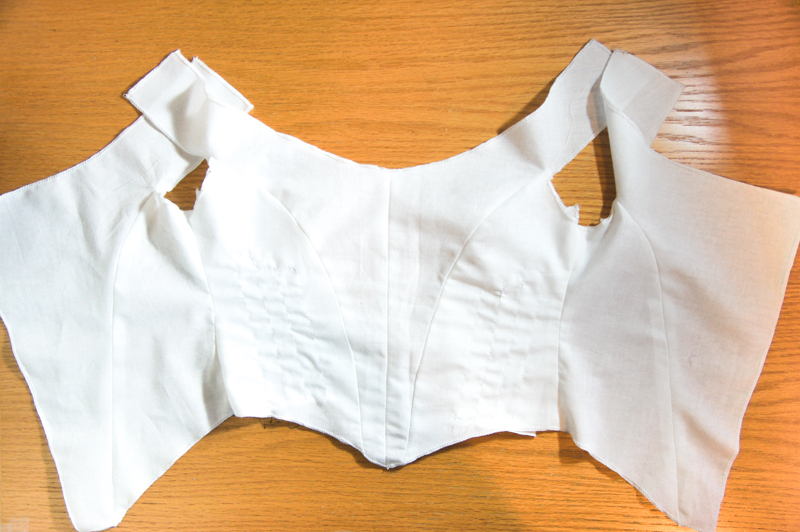 On the dress form, before any boning was added. The next step was to add boning. 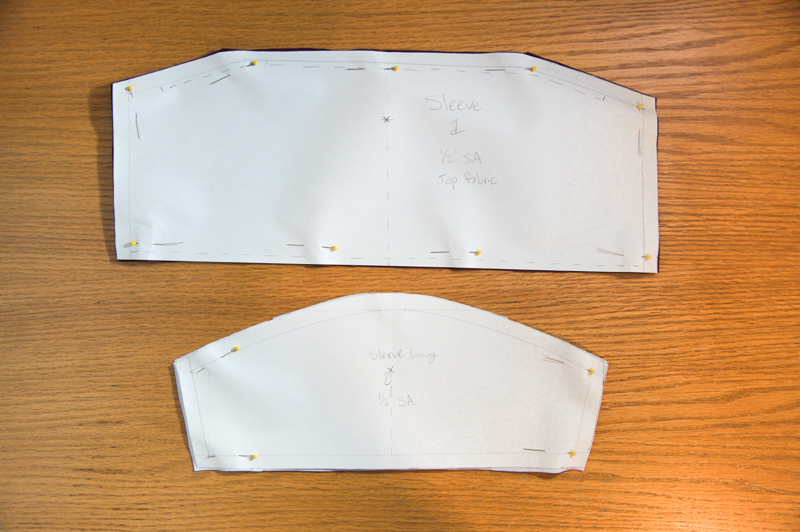 I used single fold bias tape for my boning channels, stitched directly into the seam allowance. 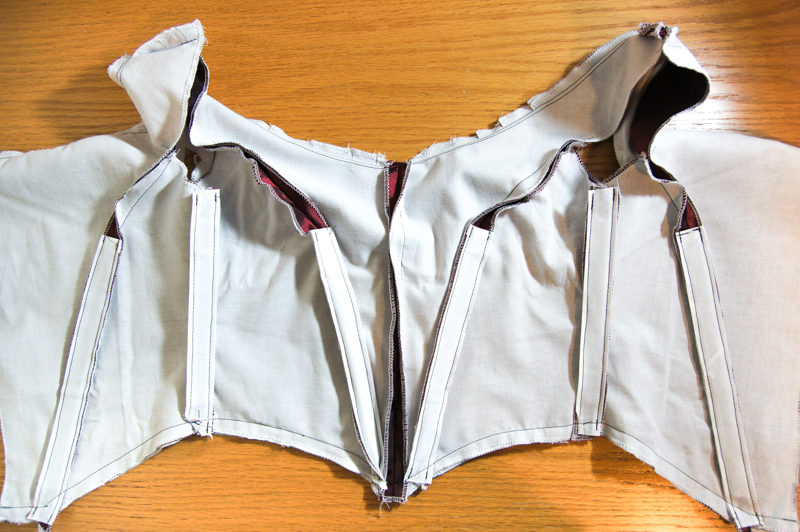 After I added boning to the seams, I decided that it needed more structure, so I decided to add boning into the lining pieces of the front side pieces of the bodice. 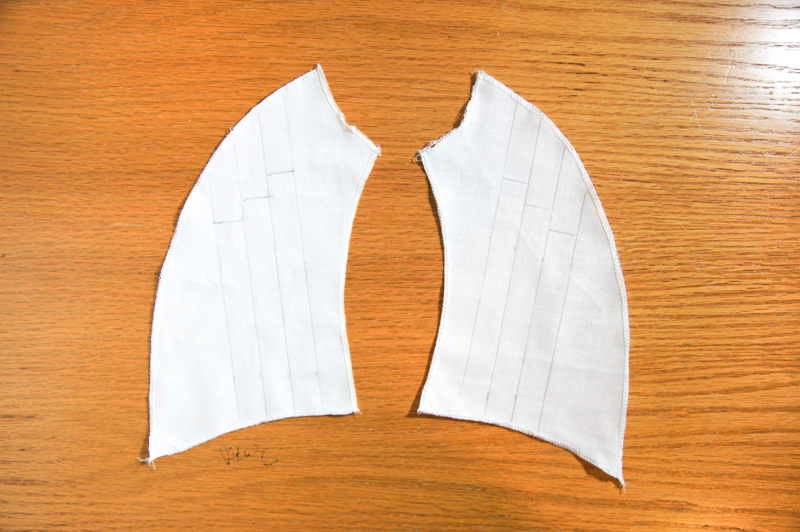 I cut my bodice pattern out of another layer of muslin to create the lining. To add the boning to the lining, I cut out 2 more pieces of the front side pieces, surged the edges, and drew my boning channels. 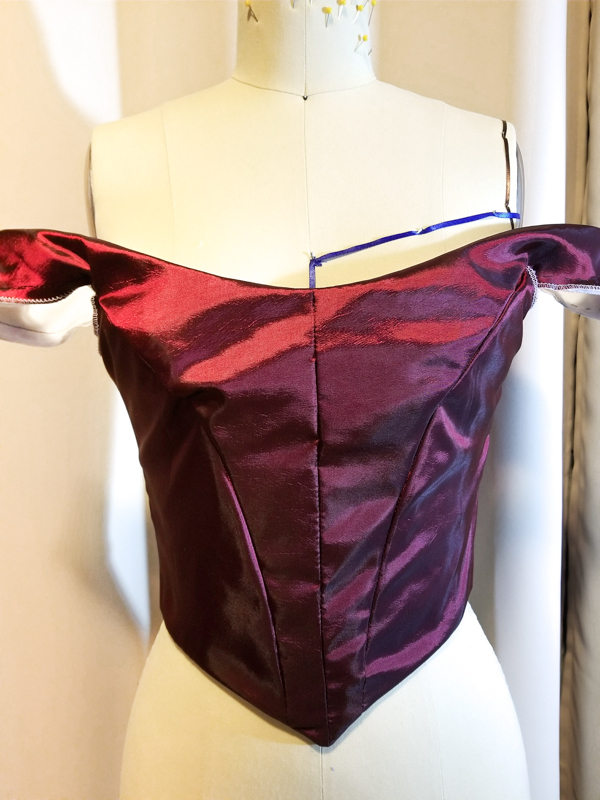 I originally thought that I would place the pieces against the inside of the bodice, matching the seams, but I quickly realized that if I did that then the boning would be at the wrong angle. Instead, I still used the same pieces, but I ended up stitching them at a different (crooked) angle to my lining. 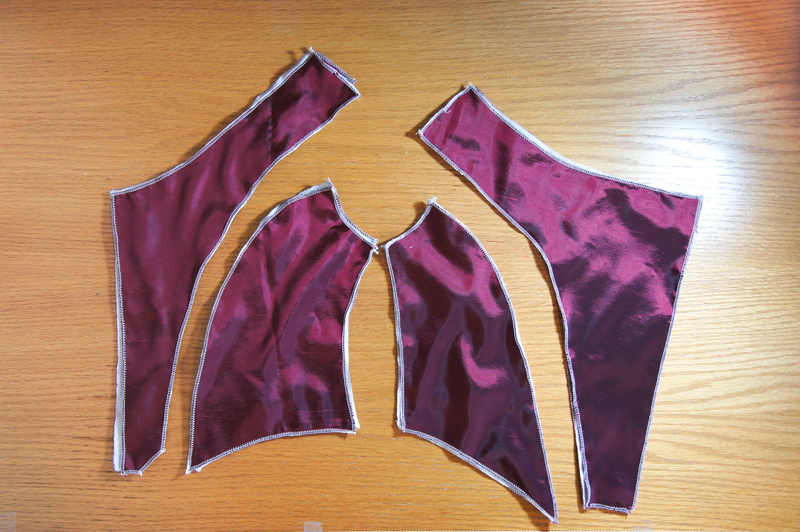 Since it would not be visible once the lining was finished, I decided not to bother redrawing/positioning them. 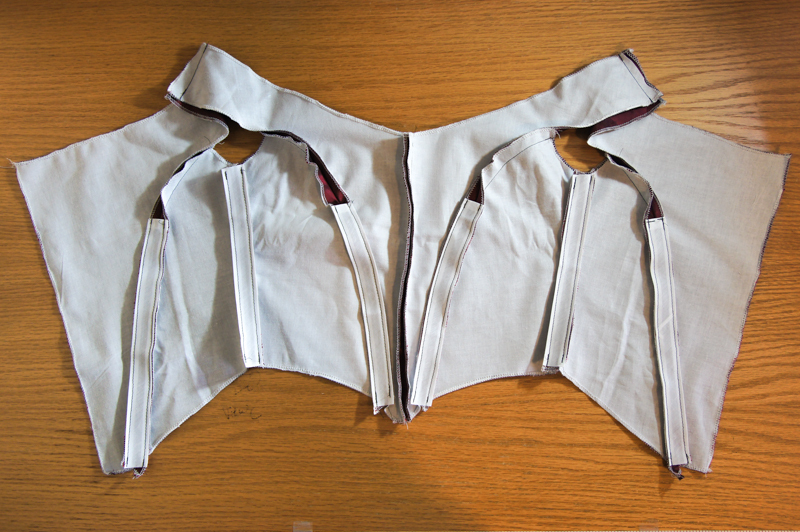 My lining, with the additional boning channels stitched. Next I stitched the lining to the bodice with right sides together, and stitching across the top with a 1/2 inch seam allowance. 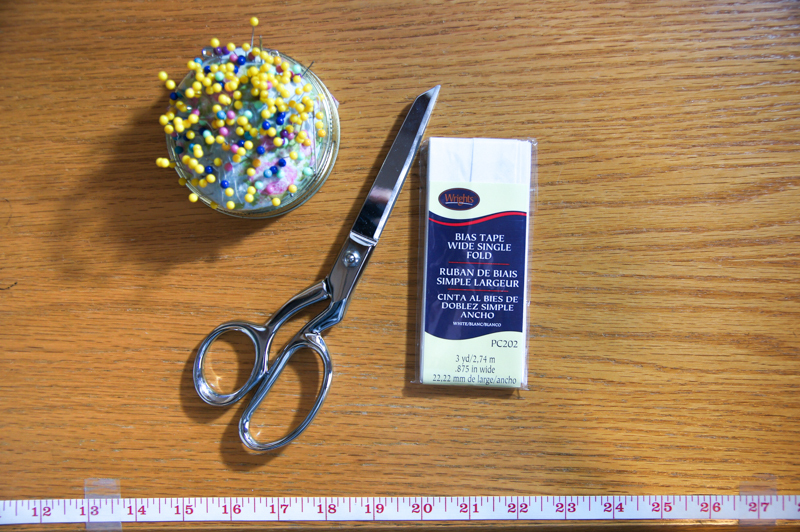 I under stitched the lining before clipping the curved edges and turning it all outward. Here's what it looked like at this point. The next thing to do was the sleeves. These were also self drafted and based from the same book as the bodice. They were relatively simple to both draft and assemble. They consist of two pieces, the lining and the fashion fabric, which as you can see are quite different in shape and size. Once the pieces were cut I surged them and ran a gathering stitch across the top and bottom of the fashion fabric pieces. After that I gathered the top piece down to the measurements of the lining pieces. If I were to do this again and I would make the top piece a bit longer to give a little more volume, and I would center the gathers more towards the center instead of spreading it out mostly evenly. 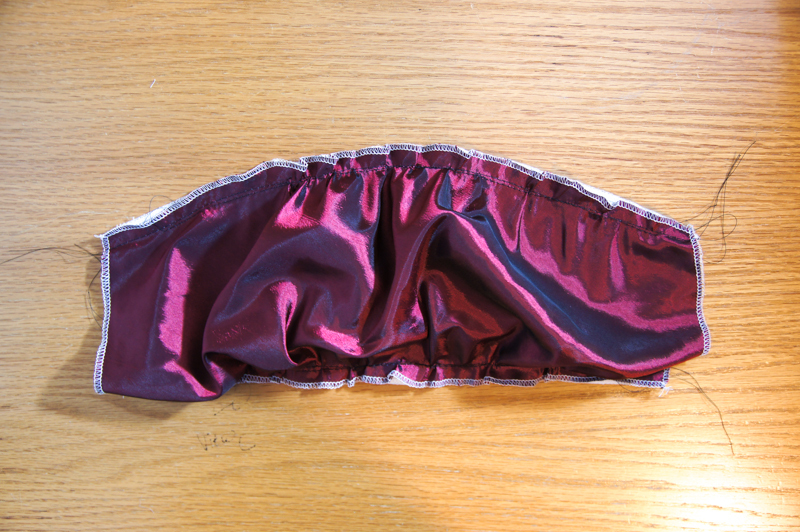 Once I had the gathers pinned to the lining piece, I basted along both sides to hold the gathers to the lining. Then with right sides together, I folded it in half lengthwise and stitched with a 1/2 inch seam allowance, creating the sleeve. After this, I attached the sleeves to the bodice by hand. That's all for today's post. I'll have more posts soon about the bertha and eventually the skirt. It looks lovely already! The red is a gorgeous color, nice choice! 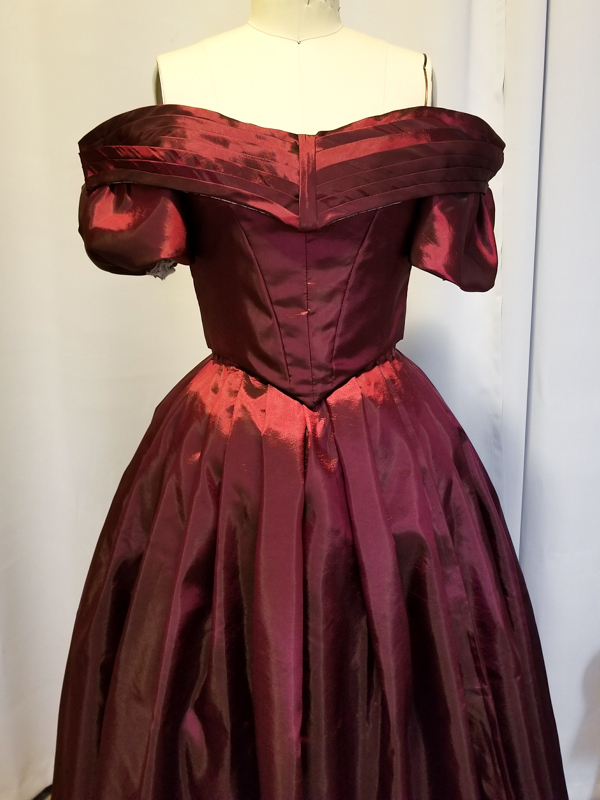 Thank you for mentioning where you got your fabric, I've been looking for nice cheap faux taffeta for some Hamilton costumes I'd like to do, so thank you! Thank you! I'm glad this was helpful. Bangkok Thai has a couple of faux silks I thought would be perfect for Hamilton dresses, specifically Eliza.